To westerners, this is perhaps one of India’s most famous fairs, held every year in the month of November. Pushkar Camel Fair is the ideal occasion to witness the charisma of Rajasthan in full bloom. Everything that makes Rajasthan a distinct place can be spotted at the festival including men dressed in colourful traditional clothes, women in mirrored skirts and vivid shawls, embroidered clothes, exquisitely designed jewellery, pots and ornaments. This ancient and busy town traces its roots and references to the ancient holy scriptures and revered and visited by thousands of devotees all over the year. It is a favourite not just for the religious reasons but also for another annual affair, and that is the internationally famous camel fair; which is held every year for five days in the month of October. It is known as the largest exchange ground of livestock, cattle and the favourite camels. It feels as if suddenly in between the religious rituals and formalities there is a sudden burst of colours and activities. People from all over Rajasthan come with their cattle and the fully decorated camels for sale and to purchase. The camels are cleaned and decked up in a special way with ankle bells and neckpieces; after all, they also compete for their master’s fashion sense in the competitions. You can witness a variety of competitions like camel races to camel parades etc. Tattoo lovers have a blast here with the traditional tattoo artists showcasing their talent, and there is more to see like silversmiths, block printers and tarot readers. So either walk around or rather meander through the curious native crowd or opt for a ‘camel’s eye view’ riding through the fair on a camel. Your tour takes then takes you to Jodhpur, where you get a different flavour after a rather busy time in the camel fair! PUSHKAR: Despite being one of the oldest cities and a major pilgrimage town of India, Pushkar still manages to retain that serene and tranquil atmosphere. The town is situated around a lake that is believed to be holy and is full of burning ghats and beautiful temples. Hums of the countless prayers, gongs and drums can often be felt reverberating in the air, and there’s just something so unique about this place. The main street of Pushkar is sure to steal your fancy. It is essentially a huge bazaar that sells everything you can imagine. The best time to visit Pushkar is in the month of November when the town celebrates the grand Pushkar Camel Fair, a unique spectacle where more than 400,000 people and 11,000 cattle, camels and horses visit the city. This is truly a once-in-a-lifetime opportunity and probably one of the most beautiful and colourful festivals you’ll ever see. JODHPUR: The magnificent Mehrangarh Fort is littered with beautiful palaces and ancient mosaics and is perhaps the best place to understand how different dynasties left their imprints on India’s architecture, history and culture. Sheesh Mahal, the Hall of Mirrors makes use of huge mirror pieces to create a mesmerising sight while the artistic treasures of Phool Mahal and Daulat Khana leave you speechless with their beauty and ingenuity. Once you’re done enjoying the best of architecture and 16th-century walls, dive into the city’s rich culture. Discover hidden hamlets of traditional Rajasthan in a desert safari, sip on some authentic masala chai (spiced tea) or just have a blast shopping in those labyrinth alleys of Sardar Market, striking bargains on everything from beautiful shoes to pottery pieces. Happy to send a testimonial to you… Mystic India, a big thank you for designing and arranging such a lovely trip to India. The Pushkar Mela was an amazing experience we now wish we had taken your advice and stayed longer than just two nights as there was just so much to see. Ideal location to do some shopping for small gifts at the fair and in Jaipur the month before Christmas. Our guide Naveen who stayed with us throughout our time at the fair was a great help as he explained many things and made us feel very safe as it was very crowded. We even got stuck in with some of the games and had a whale of a time. We enjoyed the experience so much we are thinking of coming back to India to experience another festival, perhaps Varanasi or Kolkata. thanks again and all the best from both of us. 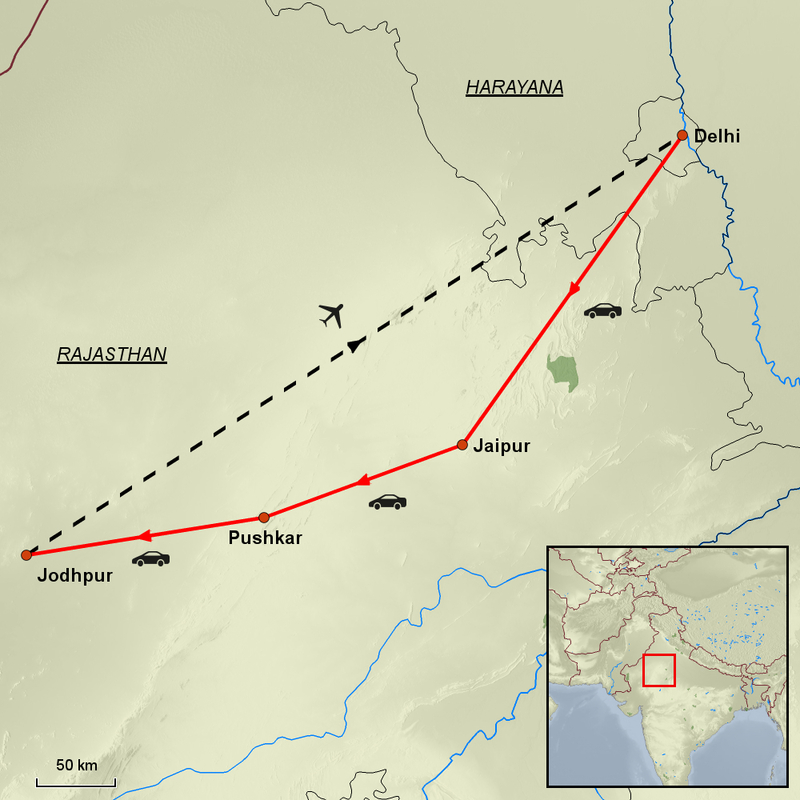 Depart your chosen airport today bound for Delhi, arriving tomorrow. After breakfast depart for Jaipur by road (5.5 hrs). On arrival after hotel check in the rest of the day is then at leisure to relax after your road journey. Today you will travel just outside the city to Amber Fort, where if you wish you can take an elephant ride up to the fort. But if like us we love elephants, we would prefer you to take the jeep up, but of course, the choice is yours. After exploring Amber Fort, you are driven back to Jaipur when the afternoon is then at leisure to relax or take a walk out on your own. This morning you will be taken by your guide to visit Palace of the Winds, the Observatory, and the City Palace, later take a drive out to see the Monkey Temple. Return to your hotel this afternoon then at leisure. After breakfast depart for the holy town of Pushkar (3 hrs). 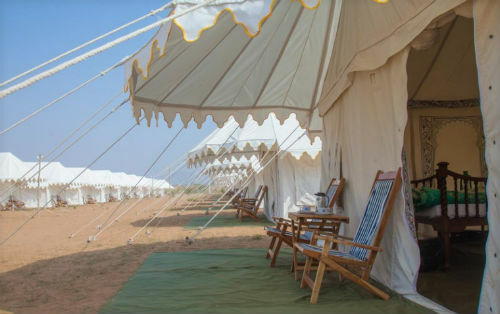 On arrival check into your Maharaja style tent which is your base for three nights where you are on a Full Board basis. Please note only vegetarian food is available as this is a holy city. After a freshen up you will meet your private guide who will be with you throughout your stay at the Camel Fair. Now go and enjoy the fair and the many experiences it offers. Today is a free day with your guide to enjoy the fair, take part in the many games on offer, watch dancing horses, and camels. You can even take a balloon ride over the fair, what a great way to see the expanse of the ground it covers, but this must be booked a long way in advance as it gets full. (operational status is subject to weather conditions if it does not take place we will arrange a refund on your return). 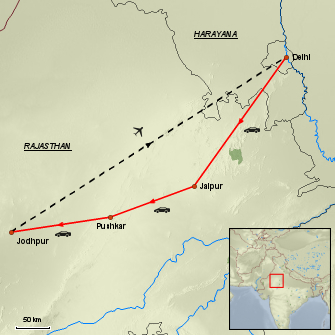 Today you depart for Jodhpur (4 hrs). On arrival check in to your hotel then at leisure to relax after your road journey or take a walk out on your own. 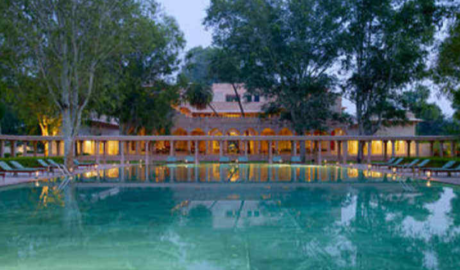 This morning your local guide will meet you at your hotel and proceed for sightseeing of Mehrangarh Fort. For adventure lovers, you may like to take a ride on the Flying Fox, the zip line as six circuits which take around 1.5 hrs to complete. After sightseeing of the fort, you will proceed to Jaswant Thada the intricately crafted cenotaph (empty commemorative tomb) was built in 1899, in honor of Maharaja Jaswant Singh II. Later proceed to theSadar Market located around the Clock Tower (which is still not working) for some shopping. 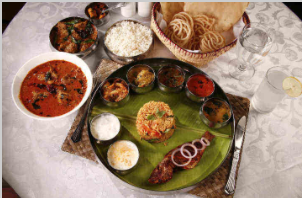 After breakfast, you are transferred to the domestic airport for your flight back to Delhi. On arrival transfer to your hotel, then your driver is at your disposal for local city drives and more shopping if you wish. or why not visit the Akshardham Temple (closed Mondays) with its amazing sandstone carvings and evening sound and light water show .. don’t forget to take the boat ride exhibition taking the viewer back to ancient India. India bids you farewell today, transfer to the international terminal for your homebound flight. Settled at the Ganahera Village on Motisar Road at a small distance of around 600 meters from Pushkar, Royal Desert Camp offers a luxurious solace in the midst of desert wilderness and breathtaking beauty of sand dunes where outdoors breathe indoor and the time stands still. 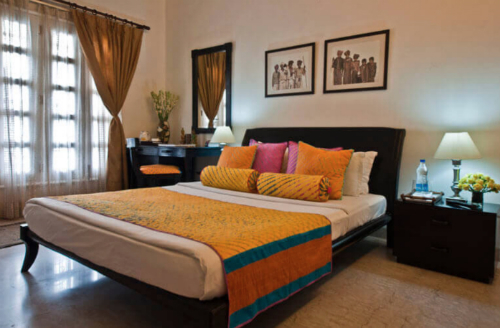 An ideal and authentic place to stay while at the Pushkar Camel Fair. 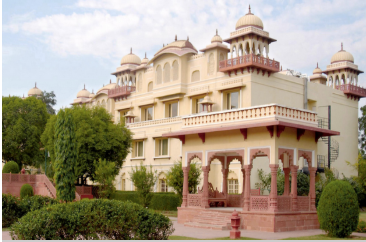 If you prefer a hotel then we can recommend their sister properties either Pushkar Palace or Jagat Palace. 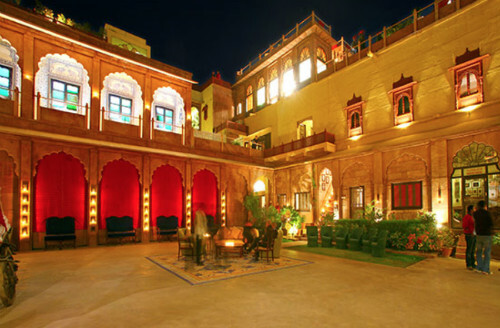 Surrounded by high walls, the Haveli lies in the heart of Jodhpur’s ancient walled city, under the gaze of magnificent Meherangarh Fort. 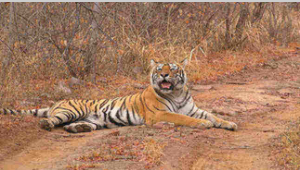 Just 3.5 hrs from Jaipur is Ranthambore NP, add on an extra few days for safari experiences and hopefully see the elusive Tiger.